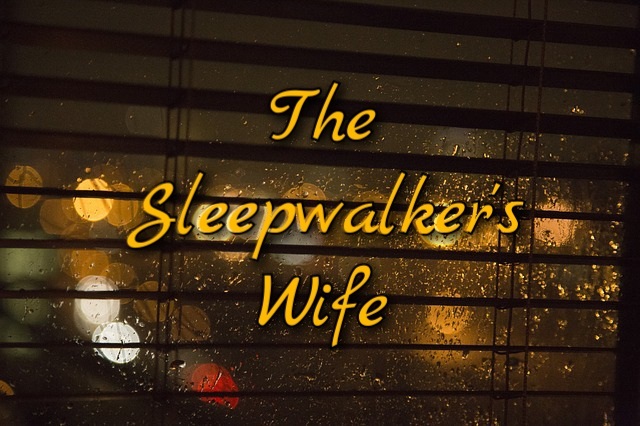 the sleepwalker's wife | Creative endeavors & things that keep me up a night. That’s what happened to my world these past few weeks. Correction: that’s what happened to my FOOD world. It has been weeks (or months?) since I last posted, but I guess raising a little one has a way of pushing everything else to the back burner. Add to that, school, holidays, moving, and my own long-awaited blood test results – Well, it is too easy to lose one’s self in this messy life. At my appointment early July, I sat patiently as the doctor first showed me numbers: > 7 – 10. Then pointed to another number: 410. Conclusion? Apparently my body really hates gluten. (As a result, my body had not been absorbing iron, despite being on iron pills for 10 months) She told me I have celiac, and to start the gluten-free diet immediately, and sent off referrals to a dietition, as well as for me to get a biopsy done. But… no gluten..? I’ve already been eating mostly dairy free, because of my dear daughter. But now, gluten? What about cookies? Cakes? Pies? Buns? Beer? Finally, I found myself asking, ” Is this… permanent?” To which the answer was yes. For the most part, it’s just fine. (And our holidays were great!) But I know at future social gatherings it will be hard. I mean, I’m that person that hovers around the food! I’d get a minor complex at buffets because I would want to try a bit of everything. More than anything though, I hope my daughter is not celiac. I’ve heard it’s genetic. ( Do correct me if I’m wrong!) Maybe I fret over trivial things, but I want her to grow up being able to use her great-granny’s recipes; to eat cake and pizza at birthday parties; to eat out and not have to ask for an ingredient list. Do you have any favorite gluten-free recipes? My husband loves to cook. He is fearless in trying new recipes, new ingredients, new spices. So I moved over and let him take reign of the kitchen most of the week. But now, he’s back to school with modules back to back. From 8:30am until 9:30pm – sometimes later – he goes to work, then stays afterwards to do hours of homework. So back to cooking I go! My tried-and-true recipe collection is seriously lacking though! I default to comfort foods like meatloaf or (dry) chicken and veggies. So I’m trying to up my cooking game! And then I found this curry beef bowl recipe on Pinterest yesterday (where else?). My husband does all the time, but I have never cooked with Indian spices. (A late bloomer, I guess?) But they sure are beautiful and fragrant and, well, this will definitely not be the last time! Turmeric, Curry powder and Ground Cumin. Look at that color! I’m a little slow – and I have a child who has recently discovered her mobility – so this recipe took me about an hour. Otherwise, not hard to make! I’d give it 4.5 / 5 ⭐. My mouth is watering all over again. For real. I’m always looking for new recipes. What are some of your favorites? What I love most about the Spring season, is the fresh new colors! The inspiring array of pinks and yellows and aquas. What I hate most about Spring? Reality. What I mean is, the dusty roads, the muddy, dead grass and brown, brown everything – brown everywhere. This town is at its ugliest in the spring. So, it’s nice to make things inside floral and lovely. Hence, the floral monogram project! You can buy these lovely pieces from etsy for $80 – $130. I’m sorry, did you just choke? ‘Cause I nearly did when I saw the price. But my dear friend Pinterest showed me a better way. And it’s basically as easy as 1, 2, 3! 1. Draw letter on cardboard. 3, Cut and glue dollarama/ dollar tree flowers on letter. An S for my girl’s nursery! I’m quite happy with how it turned out. And guess what I spent?